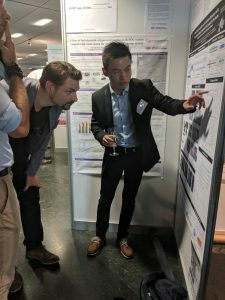 Earlier this year, HEATSTACK was presented at the European Fuel Cell Forum 2018 (EFCF 2018) by Kun Zhang of the University of Birmingham. 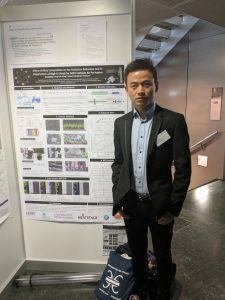 This included a poster that can be viewed in the Public Materials section of this website. 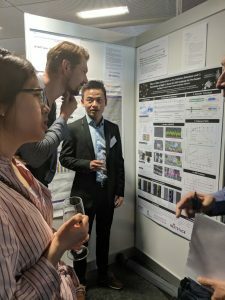 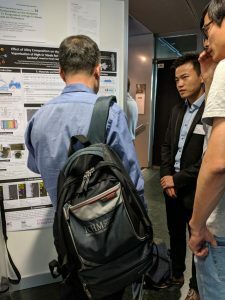 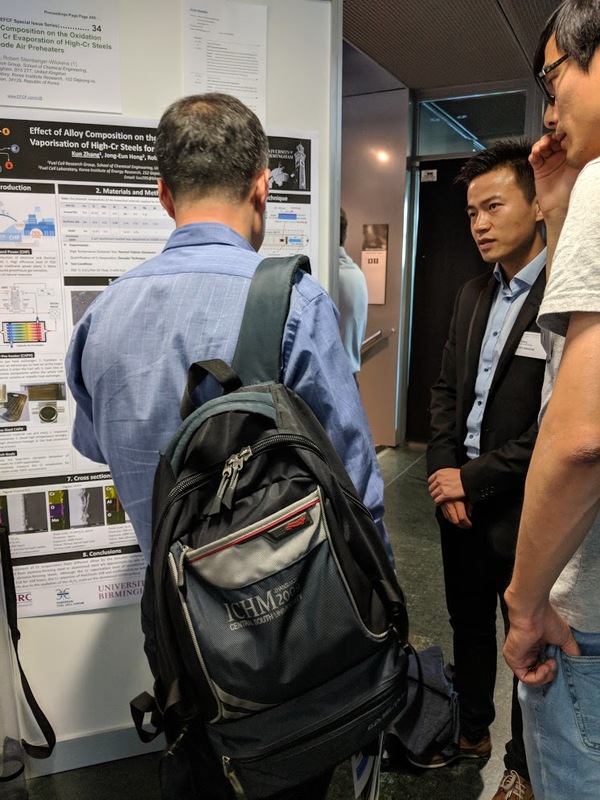 In the photos below, Kun Zhang can be seen presenting the poster to delegates at the event.